Your life is a precious gift and you were born with talents and strengths that will help you throughout your physical journey to contribute in a very special way to the expansion of human consciousness as a whole. As more and more people realize that we are more than just our physical bodies and that we are a part of something greater that connects us all, then more people will start to awaken and help to create those very changes within themselves that is necessary to help create those changes in the external world. Your personal world and inner experience is an energetic reflection of the external world and the collective experience. 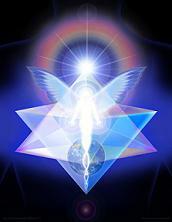 Ascension is the raising of energetic vibration or frequency--it is an expansion of conscious. On a personal level, ascension is simply the process of changing one's own consciousness from one perception of reality or worldview that is based on one particular set of beliefs, to another. On a group or planetary level, ascension is the collective explansion of one state of consciousness or set or belief system to the point where that collective consciousness or newly adopted mindset creates a new reality or state of being. 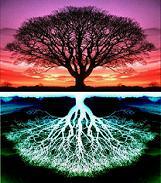 This is often referred to as a shift from one dimension to another dimension of consciousness or reality. We may be collectively creating or expanding from our third dimensional relaity/consciousness into a fifth dimensional reality/consciousness through our individual ascension processes. This will in turn effect the collective as a whole. Many believe that a hundredth monkey effect will take place within the collective consciouss of humanity once a critical number of individuals actively participate in bringing about this new shift in perspective through their personal ascension process. The hundredth monkey effect is a phenomenon that was observed by a group of scientists studying monkeys in the wild in which a learned behavior was spread instantaneously from one group of monkeys to all related monkeys at a distance once a critical number is reached. A state of consciousness or a dimension vibrates at a certain frequency just as all physical life and matter has a distinguishing vibration or frequency. When an entire group vibrates at a particular frequency this creates a new consciousness, a new reality, and a new dimension by the individuals in the group expressing themselves in various ways. Since the beginning of its known physical origin, the universe has been expanding. Recent observations indicate that this expansion is accelerating because of dark energy, and that most of the matter in the universe may be in a form which cannot be detected by present instruments, called dark matter. The terms "dark matter" and "dark energy" are placeholder names for the unknown substance that accounts for about 95% of the mass-energy density of the entire universe. If you consider the possibility that this dark energy or matter can be thought of as mirroring the individual and collective unconsciousness. We are 'in the dark' about much, but the ultimate goal is to make the darkness visable--to make the unknown known. On a spiritual note, the lightworkers who feel they are on a mission to help awaken humanity and usher in the new age have a calling to raise their own personal vibration in order to spread that energy or 'light' out into the density of the world. The purpose is to shine the light upon the darkness, or to make 'conscious' the unconscous. This is what the ascension process is all about--an expansion of consciousness, the light emerging from the darkness, and the shift from a lower to a higher frequency or vibration of being and a new age or dimension of reality. Continue..
Ascension is a shift in consciousness, a raising of all lower bodies ( physical, emotional, mental and spiritual ) to full awareness and presence in the NOW. Ascension is the raising of consciousness to a new level of existence, a shift from 3rd dimensional reality to that of the 5th dimension and beyond. read more..
Advanced Energy/dna Activations. Kundalini-infused with the most powerful Kriya Yoga magick. These meditations will transform your life and improve your health and wealth. Ascension and Twin Flame Relationships Twinflame soulmates often meet when it is meant to be their last physical incarnation on earth. Some believe that when soulmates meet during their last physical incarnation that they are both free from karma, having resolved most of it throughout their life and past lifetimes. read more..